Voyager 1, launched in 1977. In a 2013 study, researchers reported that the spacecraft had crossed the border into interstellar space on Aug. 25, 2012. The following story diagram—or Storygram—annotates an award-winning story to shed light on what makes some of the best science writing so outstanding. The Storygram series is a joint project of The Open Notebook and the Council for the Advancement of Science Writing. It is supported in part by a grant from the Gordon and Betty Moore Foundation. This Storygram is co-published at the CASW Showcase. Andrew Grant’s 2013 Science News story “At Last, Voyager 1 Slips into Interstellar Space” is deceptive. It seems at first glance a straightforward, relatively short news story. But as my students and I began to look at it closely, focusing on one sentence at a time for our annotation, we realized just how much skill, authority, and knowledge are packed into this piece. Writing clearly about space—about distances that are so great, as well as about proxies and environments so unfamiliar to ordinary experience—requires a particular dexterity. Grant needed to quickly explain enough of the challenging basic science underlying the story so that readers could understand the significance of the news and project themselves to the far reaches of the heliosphere, while simultaneously avoiding thickets of technical detail. He did that expertly, using accessible,​ familiar language to bring his readers confidently into unexplored terrain. Grant also needed to make clear that the claim was open-ended​,​ that although there was great excitement about Voyager 1 leaving the heliosphere, some researchers remained unconvinced. In our view, Grant’s piece did an excellent job of creating momentum around the question: How do we know Voyager 1 has reached interstellar space? By juxtaposing various particle counts with scientists’ uncertainty about those measurements and their interpretation, he developed a narrative tension that led readers to want to continue reading with the hope that the scientists would solve what remained, to some, a mystery. In 2014, Grant wrote a follow-up story about the ongoing debate, picking up on and developing issues first outlined in this story. As Voyager 1 enters its 41st year of travel, Grant’s explanations and his story remain as engaging and enlightening as they were when the piece first appeared. Humankind has officially extended its reach to the space between the stars.In merely 12 words, Grant has managed not only to summarize the contents of the story—a classic notion of a good lede—but also to encapsulate the story’s significance. For millennia, the human race has been busy exploring its home planet. For decades, humans have explored the solar system. Now, a new age of exploration has begun—that of interstellar space. Also, look how beautifully this idea is framed within the structure of the sentence. By starting with the word “humankind” (relating immediately to us, the readers) and ending with “the stars” (denoting the ultimate frontier, of which we have dreamt since before the dawn of civilization), Grant emphasizes the story’s vast context. Voyager 1, this distant piece of metal, relates directly to one of the fundamental aspects of the human condition. NASA’s Voyager 1 spacecraft exited the vast bubble of particlesThis vivid, familiar language helps the reader envision something not of our world. We may not know what’s out there at the edges of the solar system, but we know what a bubble looks like, and we can imagine one filled with some kind of particles that encircles the sun and planets on August 25, 2012, mission scientists report September 12 in Science. At the time, Voyager was about 18.2 billion kilometers from the sun, or nearly 122 times as far from the sun as Earth.Numbers can easily halt the flow of a story, but we usually feel better when a number carries with it a familiar point of reference. Although none of us have traveled to the sun, we have at least a hazy hunch of how long it would take to get there. Grant’s comparison is essential to our understanding the distance Voyager 1 has traveled. Also, “122 times as far from the sun as Earth” is a translation of a technical and opaque unit of measurement, the astronomical unit—the mean distance between the center of the earth and the center of the sun. 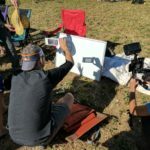 In a big favor to us, Grant gives the measurement in common language, sparing us from having to stop reading to make sense of what an astronomical unit is. “This is the beginning of a new era of exploration for us,” says Edward Stone of Caltech, who has headed the Voyager mission since 1972. “For the first time, we are exploring interstellar space.”After giving us the basic facts, Grant wisely goes straight to the source to confirm and expand on what was implied in the very first sentence of the article. He’s given us an authoritative voice to back up the dramatic claim that’s at the center of the account. Now, he can go on and tell us the whole story. NASA launched Voyager 1 and 2 in 1977 to explore the outer planets, but from the beginning Stone’s team hoped the probes would survive long enough to investigate the region of space where our star’s dominance finally wanes. 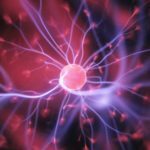 The sun unleashes a flood of hot, charged particles called plasma that jets out in all directions.It’s easy to picture this “flood.” Grant’s pithy description makes understandable something that would require a lengthy technical detour to explain fully. The plasma forms a bubble called the heliosphere that is tens of billions of kilometers in diameter. Over the last decade, the solar plasma around Voyager 1 has thinnedThe language immediately makes the reader recall the thin mist described above, creating a consistent lexicon that exemplifies the careful construction of the story and that builds on readers’ growing understanding. as the spacecraft hurtles toward the edge of the bubble at more than 60,000 kilometers per hour. Astronomers have been waiting for Voyager to cross this boundary — the heliopause, where solar particles give way to even speedier particles ejected by other stars — and enter interstellar space.This sentence widens the lens to look beyond Voyager 1, providing a touch of historical context and a larger sense of what else is going on out there. The first evidence that Voyager had reached that boundary appeared on July 28, 2012, when the number of solar particles measured by Voyager plummeted. But the particle count rebounded a few days later. Three similar dips and recoveries occurred in the following weeks until August 25, when solar particles disappeared for good (SN Online: 6/27/13). The solar particle measurement, combined with a surge in higher-energy particles from other stars, suggested that Voyager had exited the heliosphere and reached the promised land. Several well-publicized studies made that claim.In the previous paragraph, Grant built up great expectations for his readers about whether Voyager 1 would be able to cross the boundary of the heliosphere and suggested how exciting that would be. In this paragraph, that expectation is fulfilled—Voyager may well have reached “the promised land”—but only after several false alarms. Recounting those false alarms adds drama to the story. If you’re enjoying this Storygram, also check out two resources that partly inspired this project: the Nieman Storyboard‘s Annotation Tuesday! series and Holly Stocking’s The New York Times Reader: Science & Technology. What the Voyager team needed was another independent measurement to confirm the story implied by the particle data. One option was to prove that Voyager was surrounded by cold, dense plasma from interstellar space rather than hot, wispy plasma from the sun.The descriptive yet simple terminology allows the reader to engage with dense and complex material and to understand the major differences between these two environments. Such a measurement would have been straightforward except that Voyager 1’s plasma instrument stopped working somewhere near Saturn 33 years ago.This last sentence packs a surprise, heightening our appreciation of the challenges the researchers face: How will they solve the mystery if critical equipment is offline? By revealing this detail here, Grant maintains narrative tension, pulling us along. Donald Gurnett, a Voyager scientist at the University of Iowa, found a way to get the measurement anyway. Poring over data from another instrument on the spacecraft, Gurnett discovered that in April 2013 a blast wave from the sun, the same kind that can cause solar storms on Earth, had reached Voyager’s neck of the woods and jostled electrons in the surrounding plasma. It was the first such energetic solar shock in nine years. “In that sense we were lucky,” Stone says.This paragraph explains the work that led to the discovery, but avoids getting into the weeds. For example, the phrase “jostled electrons” brings to mind a clear image so Grant doesn’t have to get into the technical details. In just three sentences, Grant tells us about the work and luck involved in reaching the conclusion about the Voyager’s location. The phrase “neck of the woods” helps us connect with and conceptualize a faraway place and makes it feel familiar, even though it’s light-years away. Gurnett then used the frequency of the electron vibrations to calculate that plasma surrounding Voyager 1 was about 50 times as dense as scientists would expect inside the heliosphere, a sign that the spacecraft had entered interstellar space.This sentence is a clear, concise explanation of the science supporting the main finding. Grant distills what was almost certainly a complex set of calculations down to the most fundamental result: “50 times as dense.” And he elegantly weaves the finding into the narrative, letting us watch over Gurnett’s shoulder as he performs this key analysis. Not everyone agrees, including a few holdouts on the Voyager team.Balance. By shining light on disagreement in the scientific community, Grant demonstrates that he knows the subject matter well. The phrase “including a few holdouts on the Voyager team” shows that he did not just go to outside researchers, but is aware of the inner workings of the team. This adds important nuance to the story and makes the reader trust Grant’s authority even more. George Gloeckler and Lennard Fisk, both from the University of Michigan in Ann Arbor, have written a paper demonstrating how plasma could become dense enough within the heliosphere to produce Gurnett’s measurement. “Gurnett definitely measured the density correctly,” Gloeckler says. “But I don’t believe you can say that what he measured is the interstellar plasma.”This quote makes clear that while Gloeckler and Fisk disagree with Gurnett, it is a question not of fact but of interpretation—and the researchers’ differing interpretations keep us engaged. Grant has folded the debate into the story, using it to build momentum, instead of centering the story on “disagreement.” This allows him to keep his focus on the specifics of the science, on the nature of evidence. Barring a change in the magnetic field, Gloeckler believes the team should wait another two or three years for Voyager 2, which has a working instrument to measure the density and temperature of plasma, to reach a similar position in space. “Voyager 2 will experimentally answer this question,” he says. “Why rush to conclusions now?”This latter part of Gloeckler’s quote is in accessible, conversational language, in keeping with the approachable tone that Grant has established. Zank and many other astrophysicists say the evidence is overwhelming that Voyager 1 has crossed the heliopause, but they acknowledge that they have to determine why the magnetic field direction didn’t shift. At the same time, scientists are combing through more than a year’s worth of data Voyager 1 has collected since entering interstellar space. NASA estimates that Voyager 1 has enough plutonium fuel to keep all its instruments powered for another seven years, giving the probe plenty of time to measure an environment littered with particles that originated in distant stars and violent supernovas. 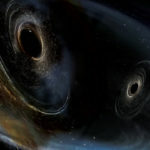 “All this will give us considerable insight into what’s happening in the far reaches of the galaxy,” Zank says.Here, Grant zooms out from the focus on the narrow, black-and-white question of whether Voyager has exited the heliosphere and toward the potential for other insights that the spacecraft can offer in its final years. For now, Stone and other scientists are excited about the robotic explorer’s accomplishment on August 25, 2012 — the same date, coincidentally, that the world lost its most famous human space explorer, Neil Armstrong.The first part of this final paragraph is cheery, and it also serves to remind the reader of the big picture—that no matter how scientists resolve the debate Grant has just described, the Voyager 1 mission has still achieved a great deal. Mentioning Neil Armstrong and his passing in this final phrase of the story strikes an awkward chord. It might have been better to end on the high note of the second-to-last paragraph. 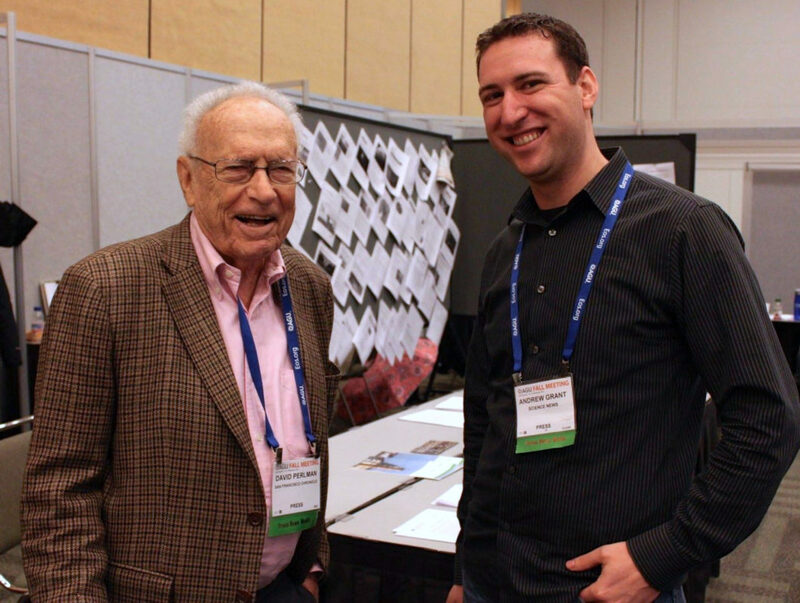 Grant with legendary science reporter David Perlman at the AGU meeting where he won the 2014 David Perlman Award for Excellence in Science Journalism. To start, tell us a little bit about your background. Andrew Grant: I went to the College of New Jersey, near Trenton, and I was a physics major. But to be honest, I spent most of my time in the basement of the student center where we had our college newspaper office. I edited the college paper and I had a blast. I didn’t really think about a career in science writing—that I could combine the two things that I enjoyed the most—but a couple of my classmates ended up applying to master’s programs, and that is how I ended up learning that the field even existed. 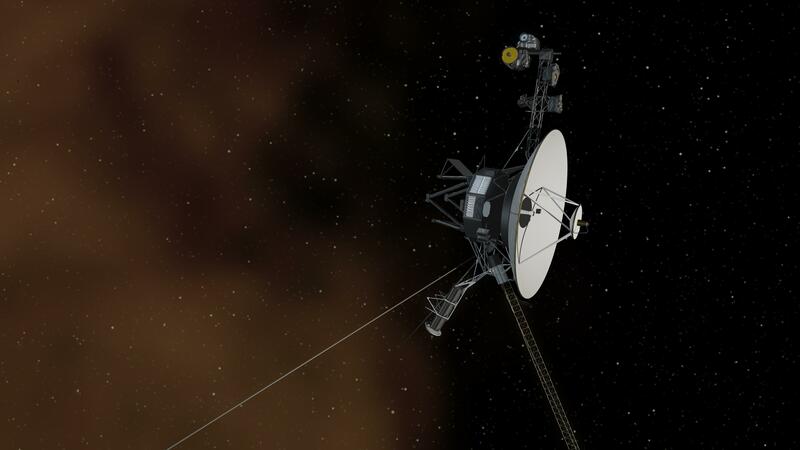 Could you describe your process writing this piece about Voyager 1? AG: This was actually an unusual story in that I kind of anticipated it. Way before the journal article came out, there were a bunch of studies claiming that Voyager had already left the heliosphere—and this was not from the Voyager team, this was from independent scientists. And every time, the Voyager team would say, “No, no, no, no, we are not there yet.” So I had already been investigating how would we know; there is no sign that says Welcome to Outer Space! The other thing I had been looking at is how everyone had been talking about leaving the solar system, which is a different word than heliosphere, and I was really fascinated by: What is the solar system? What does it mean to leave the heliosphere versus leave the solar system? How did you bring together all that research and provide a clear sense of what is known and what questions are still unanswered? AG: I wanted to make sure that I got across exactly what were the pieces of information that they thought they wanted, versus what they ended up actually having. I think the line of the story I am most proud of is toward the beginning where I say this measurement required “patience, clever detective work and a heavy dose of luck.” At first I was just going to write a pure news piece that said Voyager has left the heliosphere, here’s why, get some quotes, and that’s it. But then I read about how they expected to see this very sudden magnetic field shift and that would be the telltale sign—and in fact, they still haven’t seen that, years later. Considering your science background, how do you make sure not to get caught up in too-technical terms? AG: I really do try to kind of take a step back and try to envision what an average reader would be thinking. You really do have to try to put yourself in the place of the reader or try to think of what questions they might have. I do have that physics background, but I don’t have a master’s or a PhD in science or anything like that. So that actually gives me a little bit of a leg up over some of my colleagues who are PhDs in astrophysics. The other important thing is a good editor. I had two really good editors on this story—Kate Travis and Lila Guterman. The editor is really the reader’s advocate. How did you weigh the differing opinions about whether Voyager 1 had entered interstellar space, and how did you decide how prominent to make that debate? AG: I think the key is reaching out to a couple of independent sources and getting a feel. I feel like it is pretty apparent pretty quickly, once you reach out to one or two people, how controversial this is, how big of an advance it is. I have had stories where I put the controversy up top. In this case, I found that most people thought this was very solid. I think that there is a little built-in skepticism. By talking about [it as] a detective story, it leaves some room open to say that if later they say they were wrong, well, I pointed to the fact that the magnetic field hadn’t shifted. But the people I talked to felt that this was solid evidence, so I kept the skepticism toward the bottom. Do scientists sometimes think something is a big discovery and you see it as incremental? AG: One of the side effects of developing relationships with scientists is that they will send you their latest paper and tell you that it is the greatest thing ever, and you [always] have to make that judgment call. It is important to develop what a journalism professor of mine called the “gurus”—people I often don’t even quote in stories I rely on to give me their objective judgment on a study. It is important to reach out to different people to get their take on how interesting something is. Over time, you develop your own judgment. Sometimes it is hard because you are talking to the scientists constantly, and in some ways they are doing you a favor in talking to you and explaining things to you. But in the end you have to remember that you are the advocate for the reader, not for the scientists. Can you talk a little bit about your thoughts about the embargo system? AG: For me, I prefer there not be embargoes. But I am a little subjective here, because I am in an office with editors who have been doing physics for so long. A lot of them can identify interesting papers and talk to scientists ahead of time and know there is something interesting coming out. So we would beat everyone else to it if there weren’t an embargo system. But at the same time I understand that for a lot of mainstream outlets, they don’t have that type of connection. And if a Voyager story just drops and the journalists have to rush to write about it in a couple of hours, it can get sloppy really quickly. I am kind of mixed on it. Personally, I think I would benefit from not having it, but I think I understand the rationale for it. What are some of the ways you generate story ideas through more traditional means of reporting that are not tied to studies and embargoes? AG: In reporting stories I have talked to different people, and the ones who are really helpful, who are on the cutting edge, I make sure I stay in touch with. And then at Physics Today, we don’t just focus on research. Because we are read by a lot of professionals in the field, we can talk about some of the issues that can affect science, and I think that are sometimes underreported, especially now. The fact is that science isn’t done in a vacuum, and some of the stories I am proudest of are about how certain policy decisions affect physicists. 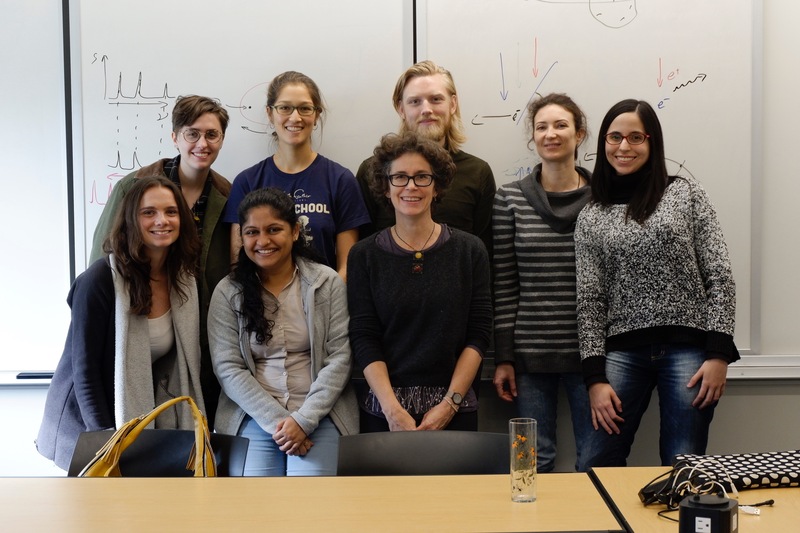 We wrote a piece that has touched a lot of people—about mental health and how the postdoc system is so overwhelming for researchers, and how, especially if you have some mental health problems, the added stress can make it an impossible task. 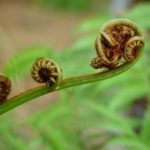 Do you have a favorite science writer or particular books that have helped you develop the ability to translate complex scientific concepts into common language? How did you decide on the kicker for the Voyager story? AG: I wanted some catchy way to end it. I remember I just searched the date, August 25, 2012, and I don’t know what I was thinking—maybe some big entertainment or sports thing happened that day and I could say something along the lines of, “Voyager was leaving the heliosphere as the Cavaliers were winning the NBA championship,” or something like that. But I saw that [Neil Armstrong] died that day and I guess I made the connection between this robotic explorer doing this amazing thing and then when we think of a human explorer, we think of Armstrong. AG: I think good communication with your editor is really important. The editor, justifiably, had said keep this on the short side, focus on the research, because we were also running a big graphic about where Voyager 1 was in the context of the solar system, we had all this other stuff in a package, so the news story itself was not standing alone. But when I saw what had gone into making this discovery I really thought that there was more to it, that there was a detective story, a human story that went along with the actual research and I had a good dialogue with the editor and that helped let me write the story that I did. Andrew Grant is the online editor at Physics Today. After graduating from New York University’s Science, Health & Environmental Reporting Program, he worked at Discover and at Science News. 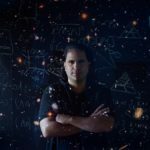 His Science News story on Voyager 1 entering interstellar space won the American Geophysical Union’s 2014 David Perlman Award for Excellence in Science Journalism. His work has also been recognized by the American Institute of Physics. Follow him on Twitter @Sci_Grant. 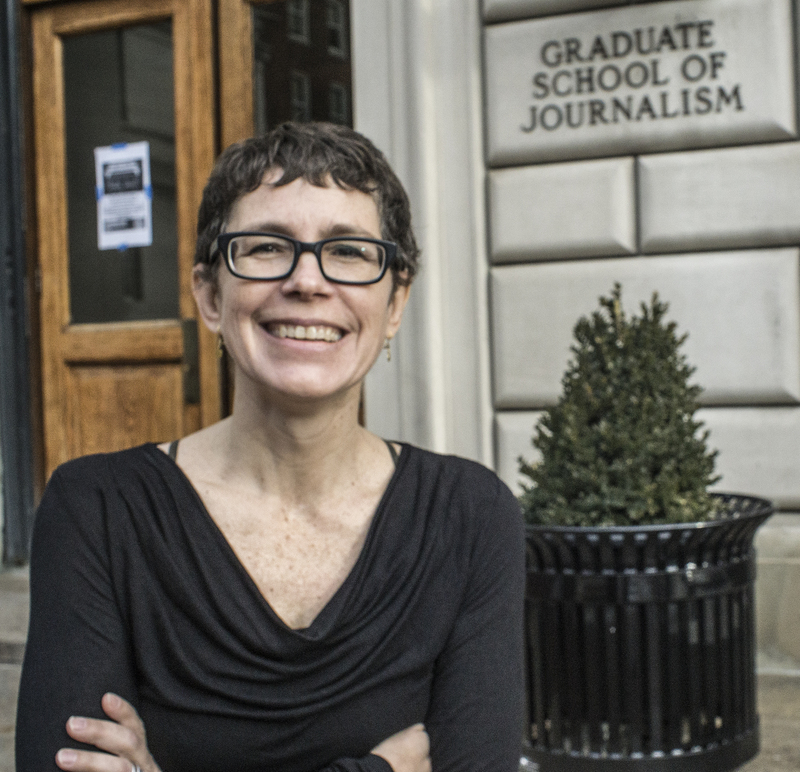 Marguerite Holloway is director of Science & Environmental Journalism at Columbia University’s Graduate School of Journalism, where she teaches in the M.A. and the M.S. programs. Holloway worked at Scientific American for many years, is a freelance writer and author of the Measure of Manhattan, and is engaged in various experiments—from putting sensors on New York City rats to seeing if algorithms can help science journalists contextualize studies. Marguerite Holloway (front center) and students in the Columbia University Graduate School of Journalism’s M.A. Science Concentration. Tryggvi Adalbjornsson has worked for the last five years as a general assignment reporter for RUV, Iceland’s national broadcasting service. Before coming to Columbia University, he studied screenwriting in Los Angeles. Guia Baggi is an Italian journalist. In 2012, she and seven collaborators founded the Investigative Reporting Project Italy. She has worked as a freelancer and as a fixer for national and international media. In 2016, she was awarded a Knight/Vice/CUNY Innovators’ Fund fellowship. Mariana Lenharo is a Brazilian journalist who has been covering science and health for publications that include the newspapers O Estado de S. Paulo and Folha de S. Paulo, the G1 news portal, and Mother Jones. She is particularly interested in public health and epidemics. Maya Miller was most recently the John Callaway Excellence in Online Journalism Fellow for Chicago Tonight, a PBS affiliate. 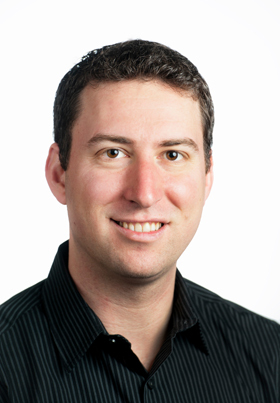 Miller has also worked for the Chicago Tribune and Wisconsin Health News. She began her reporting career at the University of Wisconsin–Madison’s flagship student newspaper, The Daily Cardinal. Greta Moran is a writer interested in the ways science governs our lives. She has written for The Feminist Wire, The Atlantic, and McSweeney’s Internet Tendency. Disha Shetty has five years of work experience in print and digital media, and a particular interest in public health and medicine. She was most recently the senior health correspondent for DNA in Mumbai. Elizabeth Whitman is interested in reporting on health, food, and the environment. A recipient of CASW’s Taylor/Blakeslee Fellowship, she has reported on healthcare and medicine in the U.S. and on the Syrian refugee crisis in Jordan for The Nation, Al Jazeera English, and International Business Times, among other publications.